As a member of the Senate Appropriations Committee, I am taking part in public hearings on Governor Wolf’s proposed 2018-2019 state budget. Summaries and video of each of the final week’s hearings are listed below. You can review previous hearings here and here. Inclement weather caused postponement of the final two days of hearings. I’ll follow up with those summaries when the hearings are rescheduled. Don’t forget to set you clocks ahead one hour Saturday night. 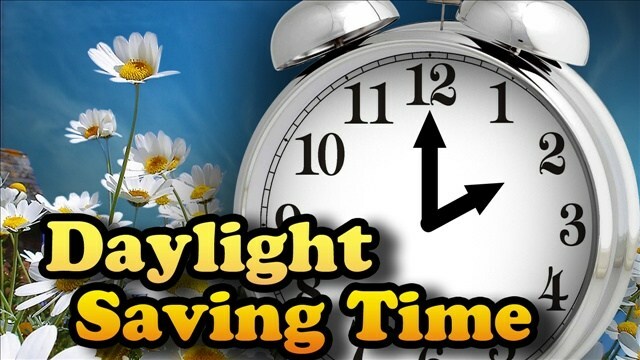 Daylight Saving Time begins 2 a.m. Sunday (and ends November 4.) We lose an hour of sleep, but we gain an hour of sunlight! 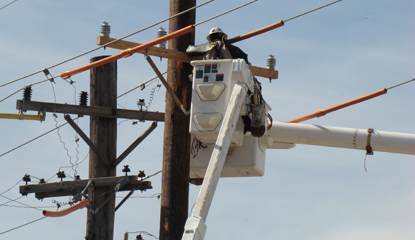 I want to extend a special thank you to the many linemen, tree cutting crews and fire/EMS crews that have worked tirelessly around the clock to restore power and meet the needs of residents throughout Monroe and Northampton counties following this week’s storms. We are grateful for your service. When storms and high winds cause power outages, safe food handling becomes a challenge, especially when it comes to keeping refrigerated and frozen foods at or below 41 degrees Fahrenheit. Generally, a refrigerator will keep food safely cool for about four hours, while a full freezer will hold the temperature for approximately 48 hours or, if the freezer is half full, for approximately one day. The PA Department of Agriculture has some tips for what to do with your food during and after a power outage. Farmers and Related Professionals: Penn State Extension would like to learn about your interests in programs and educational resources on field and forage crop production and related agricultural management practices. Taking a 10-minute online survey will help the Extension plan in-person programs, publications, and online resources for crop producers and professionals who work with clients in the agricultural community. Senator Scavello questioned the board about its finances and request for increased funding. He also discussed available help for gambling addiction, efforts to prevent underage gambling, and economic activity generated by casinos. Senator Scavello asked Revenue Secretary Dan Hassell about the additional employees needed to handle expanded gaming, upgrades to the department’s central computer system to accommodate Video Gaming Terminals, and projected revenue from internet Lottery and keno games. He also discuss revenue projections for the end of the fiscal year. Senator Scavello talked about the importance of tourism to our region and need for DCED to fund tourism promotion. He also sought details on Pennsylvania’s workforce development efforts, including the WEDnetPA job training program. In questioning Secretary Pedro Rivera about his budget request, Senator Scavello discussed a pilot program at the Penn Argyl School District to help students with dyslexia, funding for community college operating expenses, all-day vocational education, and more. Senator Scavello asked about the impact of federal appropriations being moved from the Lottery Fund to the General Fund, and the impact of an aging population on programs for Pennsylvania seniors and the overall state budget. He also stressed the huge burden the property taxes place on senior citizens, and the need to find a better funding source for schools.